Avast Self-defense module also called Avast self-Protection module is a inbuilt feature that comes with Avast antivirus. Avast self-protection module protect’s avast antivirus from itself getting uninstalled or removed by any malicious software, malware or virus. 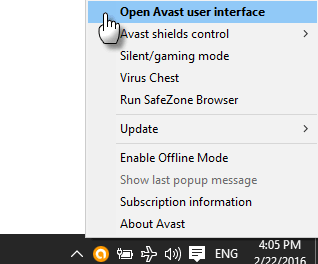 Whenever a removal request is initiated to uninstall avast antivirus, the Avast Self-Defense module get’s activated and starts showing a dialog to the user. This dialog box ask’s user to click “YES” to proceed removal process or “No” to stop the process. Sometime’s user’s start getting some difficulties with avast self-defense, If you you are also one of them and want to know that How to disable self-protection module in avast antivirus, Then This article is for you. In this article we will teach you How to disable self defense in avast. No matter what version you are using, Avast premier, Avast internet security or any other version. the method to disable avast self-protection module is the same. 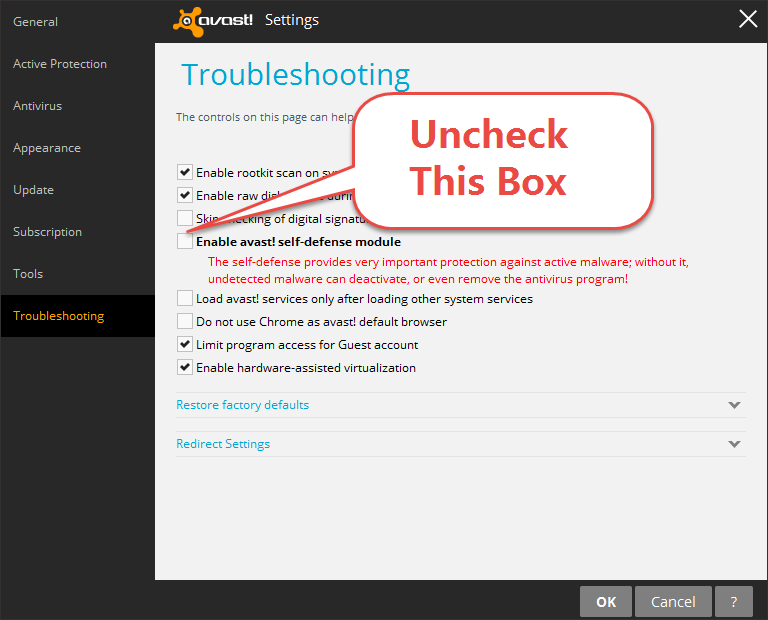 You can follow below steps to Disable Avast self-defense module in your avast antivirus. Right Click on the “Avast Icon”. Uncheck Enable Avast Self Defense module and press “ok”Button. Now you will see the warning that do you really want to turn the avast self defense off. Click Yes Button and you are done. That’s it, Now you have successfully Disabled avast self-defense module. If you are getting any difficulty or have any questions regarding my article about, How to disable Self-Protection module in avast, Feel free let me know in the comment section below. You can also read my another article about Webroot vs mcafee antivirus and How to uninstall Webroot antivirus.